Mucinex is a brand name for a medication called guaifenesin. 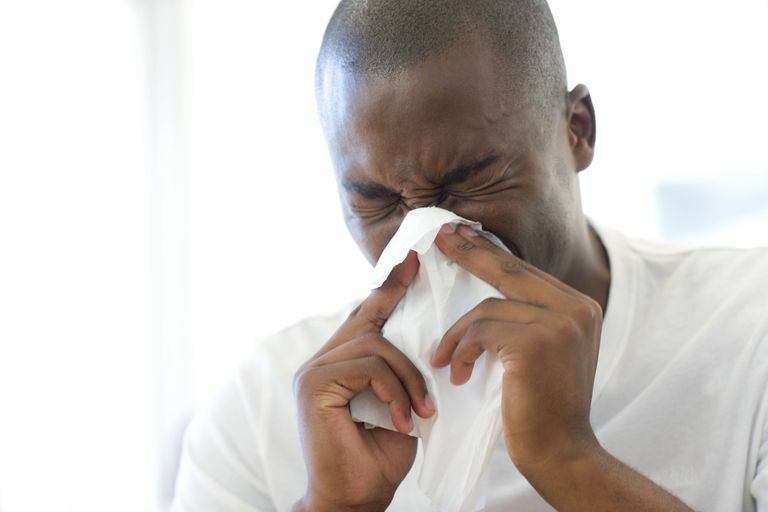 In the United States, guaifenesin is sold over-the-counter expectorant that can be used to treat congestion by breaking up and thinning mucus in the chest and throat. Mucus that is closer to a liquid than a solid is easier to cough out and expel. Mucinex is typically used by individuals who are congested because they are suffering from a common cold, the flu, or allergies but it can be prescribed by a doctor for other reasons. Guaifenesin works to relieve the symptoms of these conditions but is not a treatment for the root cause of congestion or decrease the overall time of these illnesses. Guaifenesin is safe to use in both adults and children. Aside from being used as an expectorant, guaifenesin is a centrally-acting muscle relaxant and is sometimes used in veterinary medicine for this purpose. There is also an off-label treatment known as the fibromyalgia guaifenesin protocol that is sometimes used, however, there is very little evidence to support the use of guaifenesin in this manner. Mucinex comes in a variety of forms including tablets and liquids and even dissolving granules. You should follow the directions on the package carefully regardless of which form of the medication you are using. Consult your doctor or pharmacist and inform them of any medications you are currently taking as well as any allergies to medications you have before trying Mucinex. If you are using an extended-release preparation the tablets should not be cut, crushed, or chewed but taken whole. You should drink plenty of water with this medication. This medication can typically be taken with or without food. A typical adult dose of Mucinex is 1 to 2 600mg tablets every 12 hours, or 1 maximum strength tablet (1200mg) every 12 hours. The package directions should be followed very closely when giving Mucinex to children since the dose will vary based on the child's age and weight as well as the preparation used. Mucinex should not be given to children under the age of 4 years. You should talk to your doctor before taking this medication if you are pregnant or breastfeeding, have kidney or liver disease, or if your cough may be caused by illness other than an upper respiratory infection or allergies such as emphysema or COPD. You should also contact your doctor if your cough persists longer than 7 days or if it is accompanied by a fever that does not go away. Mucinex has little evidence to suggest that it has a strong effect to help you clear secretions. Some of the combinations listed above also are counter-intuitive. For instance, Mucinex DM has a cough suppressant, when you should be trying to thin your secretions and get rid of the excess mucus by coughing. Caution should always be used when taking combinations of medications that may reduce the efficacy of the other medication. Staying properly hydrated with water is an important factor in helping to reduce the frequency of having thick secretions which are then difficult to cough up. If you have difficulty coughing up your thick secretions, your doctor may prescribe hypertonic saline (7%) or a bronchodilator (like Atrovent). There are many other medications that can help, but they are typically reserved for chronic issues related to cystic fibrosis, chronic COPD, and other respiratory conditions. Guaifenesin. Drugs.com website. Updated November 14, 2010. Guaifenesin. Medline Plus website. Updated July 15, 2017. Guaifenesin (Oral Route). PubMed Health website. Updated October 1, 2017. Rubin, BK. (2017). Mucolytics, Expectorants, and Mucokinetic Medications. Respiratory Care. 52:7, 859.